Ref: Vu, T.T. ; Li, L.; Jun, K.S. 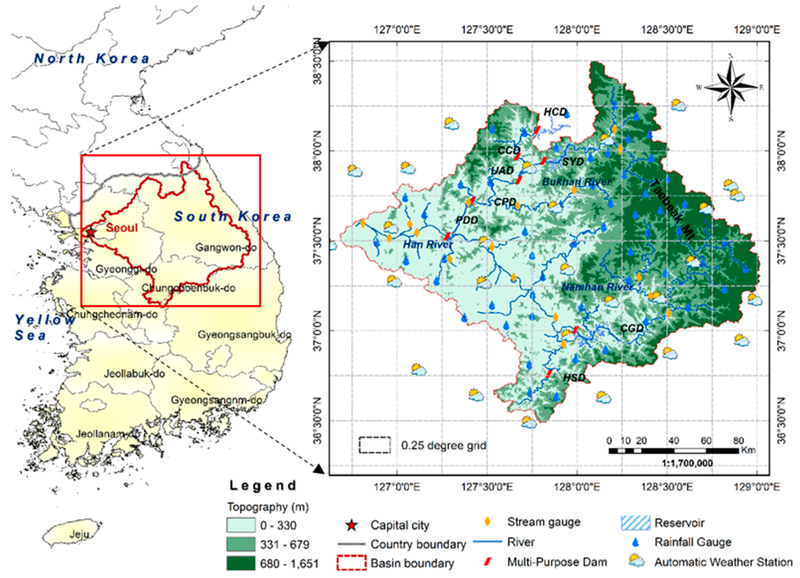 Evaluation of Multi-Satellite Precipitation Products for Streamflow Simulations: A Case Study for the Han River Basin in the Korean Peninsula, East Asia. Water 2018, 10, 642.